Your apps are as critical to your business operations as your network infrastructure — that’s why we manage apps, too. In fact, most business people care more about the apps. When your apps work right, everything else can work right, too. Your email, file sharing, billing, scheduling, video conferencing, project management, payroll processing — almost every part of your business relies on data being processed correctly by one app or another. So when you have problems with your apps, you have problems with your business. Leapfrog proactively manages the apps you need to run your business — from your core apps (i.e., your operating system and Microsoft suite) to your cloud apps to your third-party apps that may be specialized for your industry or company. We keep them updated, patched, secure, spit-shined, available and hopping along. If there’s a problem caused by something we can’t identify on our end, we’ll call the vendor and work it out on your behalf. And if your internal IT team has the deep knowledge that’s needed to manage internal or legacy apps, we can share app management responsibilities in ways that support your team the most. Frogs rock at managing your core apps — it’s a fact. We’ve spent countless hours in training and thousands more managing core apps for hundreds of clients since 1998. We are a Microsoft Gold Partner, experts on every operating system, and certified by VMWare and the other vendors you probably use to run your business. We understand the issues and we solve problems fast. We also rock at third-party apps, or your non-core apps. If we don’t already know the apps your company is using, we’ll learn how they work so we can make sure the installation, integration, performance, patches and updates are all functioning properly. And if there’s no documentation about how to manage a critical app, we’ll write it for you, including the escalation path. That way, even the toughest issues can be handled quickly and effectively. Most managed IT companies won’t touch application management with a 10-foot lily pad. That’s because it’s not easy. 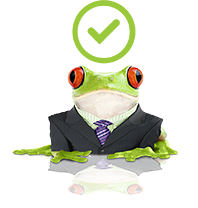 But us frogs have the experience, know-how and sophisticated tools to make Application Management an optimized, streamlined process — which is great for your business and for your optimized IT ecosystem. When combined with our Help Desk expertise, it’s even better. Application management translates into more efficient, optimized business operations. You get more value out of your apps and your team can leap further with high-performing app wind at their backs.